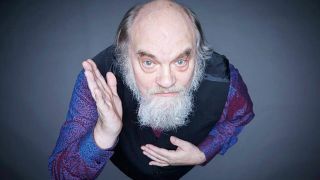 Robert John Godfrey has announced that he’ll return to the stage with The Enid for a one-off show to mark his 70th birthday. Last year, Godfrey took a step back from touring with the band he founded – but will play with them once again at London’s Union Chapel on August 5 where they’ll play rare performances of classic instrumental tracks. Godfrey will be joined on stage by guitarist Jason Ducker, keyboardist Zachary Bullock, drummer and percussionist Dominic Tofield and special guest Nic Willes on bass and percussion. He’s also announced the setlist for the evening, which can be found below. Last September, vocalist Joe Payne, guitarist Max Read and drummer Dave Storey left the band. Godfrey said at the time: “Big seismic events, such as those which have been going on within The Enid, always lead to changes in the landscape. These destructive upheavals are just a reflection of life itself. There is always a future in the aftermath and the unexpected nearly always happens. “Dominic was due to take over from Dave at the end of the year. Unfortunately Dave’s planned hip operation was rescheduled, leaving him unable to do the gigs planned. Dom Tofield is now The Enid’s drummer. “Max has decided to follow my example and step down from appearing on stage with the band. Tickets are available direct from the venue.